Horizon Zero Dawn is a beautiful game. Sometimes, it seems too beautiful. Here’s how the developers achieved such an uncannily gorgeous look. 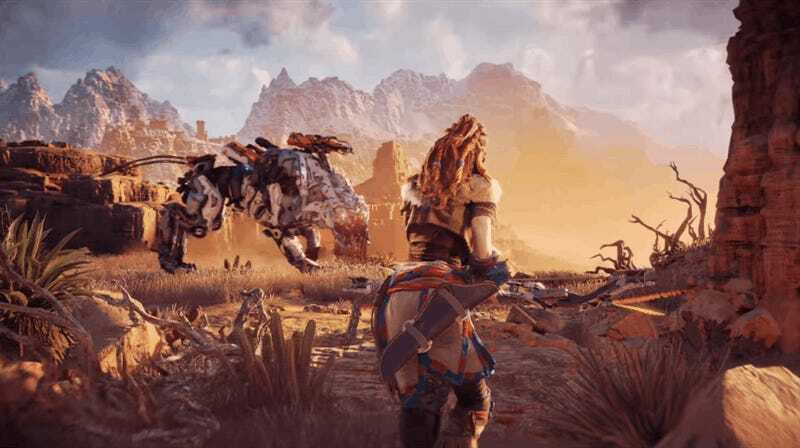 Studio art director Jan-Bart van Beek recently explained to Kotaku that the studio spent many hours watching BBC nature documentaries, which allowed Guerrilla Games to lay out a conceptual framework for Horizon’s visuals. 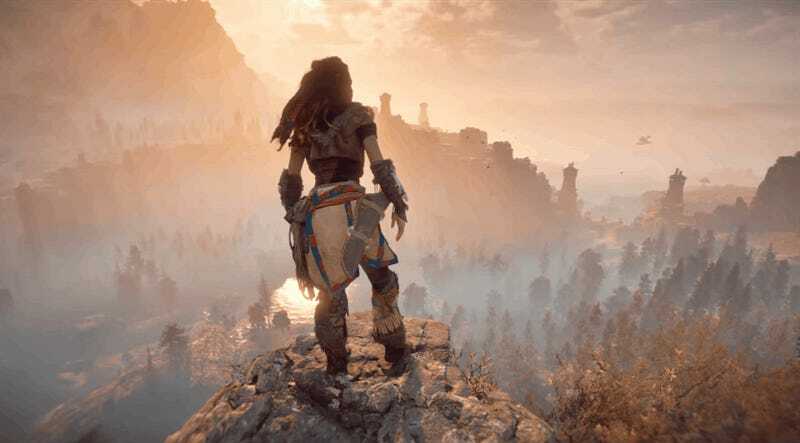 Fortunately, Horizon is a game, so the developers didn’t have to wait for hours just for the right conditions to appear. Instead, they deliberately programmed the game to always capture that picturesque quality. “In Horizon we wanted to give them the sense of being in a 24/7 version of BBC’s nature, where it is always at its most epic, most impressive,” Beek said. “Anything less than the best look, we would simply remove. So to some degree we indeed make it unnatural. Beek noted that, in order to nail the aesthetic, they tweaked weather transitions to be faster so that the player never sees anything below a certain level of quality. You only ever see whatever looks best. Some of these visuals, such as the human settlements, are tailor-made, but Beek estimates that about 80% of Horizon’s natural landscape is procedurally generated. In short: everything you see in Horizon has been fine-tuned to look awesome.